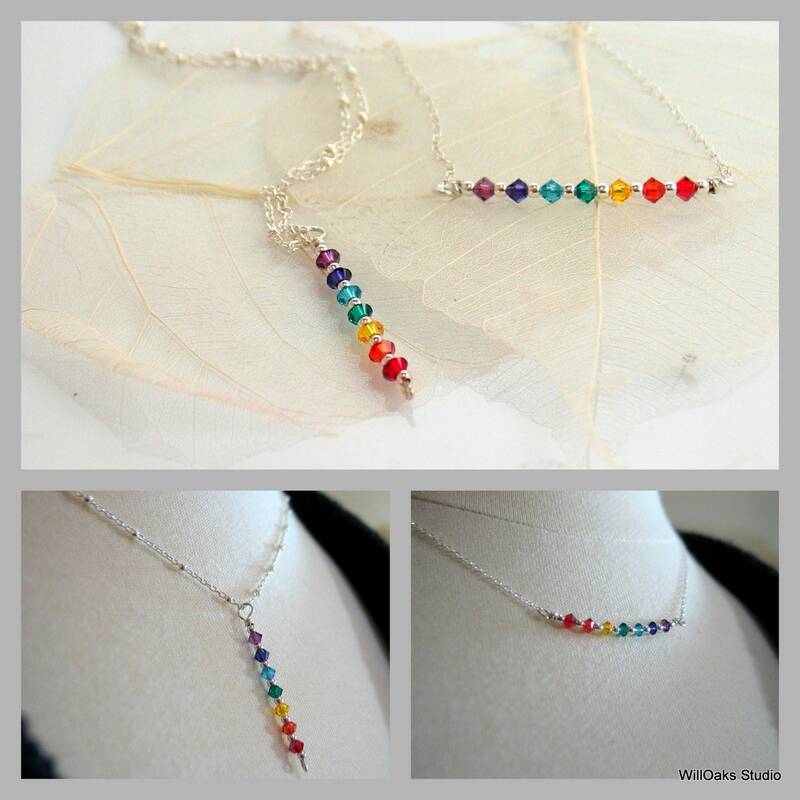 Chain Style, Length Plain Sterling 16" Plain Sterling 17" Plain Sterling 18" Plain Sterling 20" Beaded Sterling 16" Beaded Sterling 17" Beaded Sterling 18" Beaded Sterling 20"
Yoga Chakra crystal pendants, rainbow necklaces, in either a drop pendant or a bar pendant design. 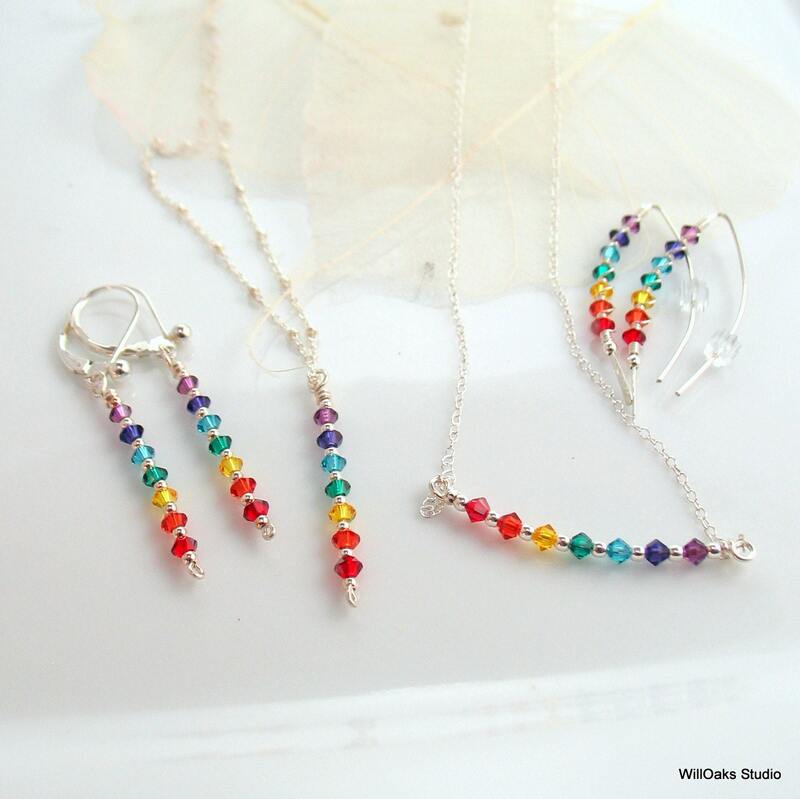 This yogini jewelry is made of all sterling silver and genuine Swarovski crystals by WillOaks Studio. Select your pendant style, chain style and length, as you check out. For longer chains, please contact me for a custom listing. 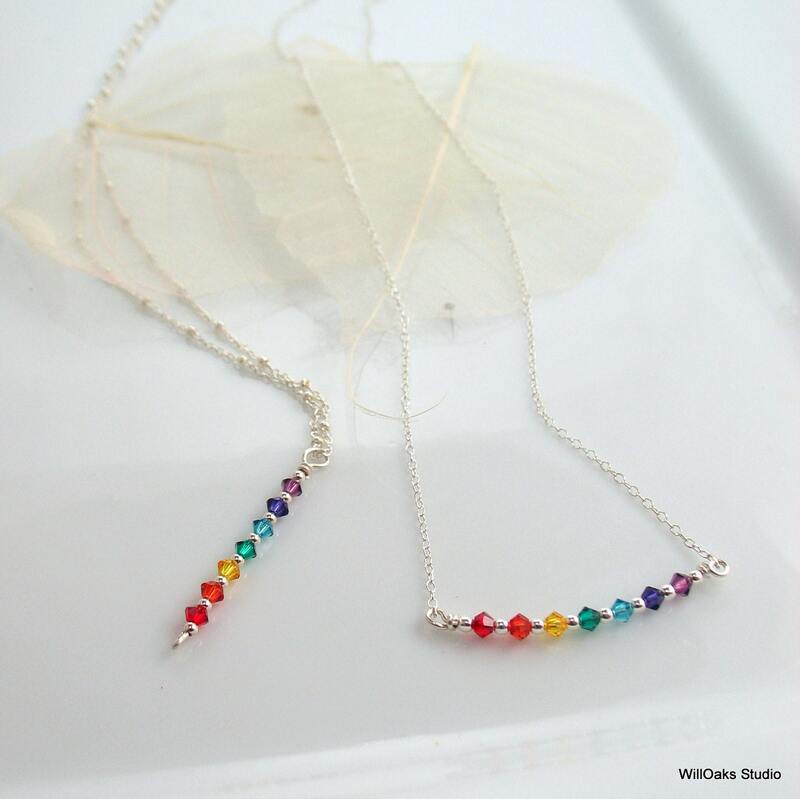 The 3mm Swarovski bicone crystals are in the 7 colors of the Chakra-a yoga concept of the human body. The seven chakra points represent the seven vital centers of the body and are used for spiritual and theraputic purposes. Or maybe it reminds you of a rainbow or a prism? 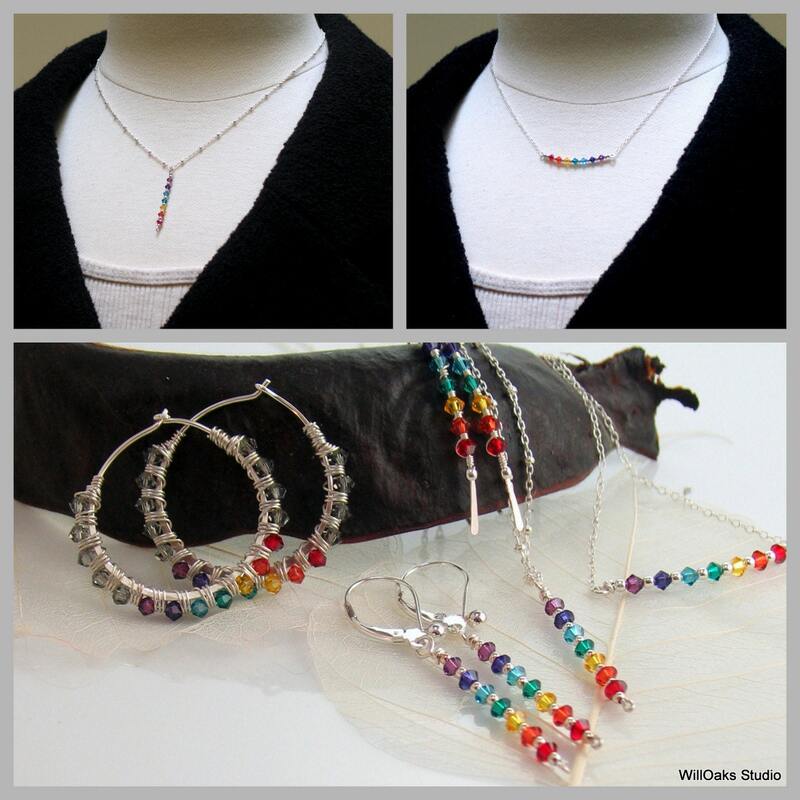 I used this theme in the 4 different styles of pierced earrings, shown in photos here, and all available in my studio. 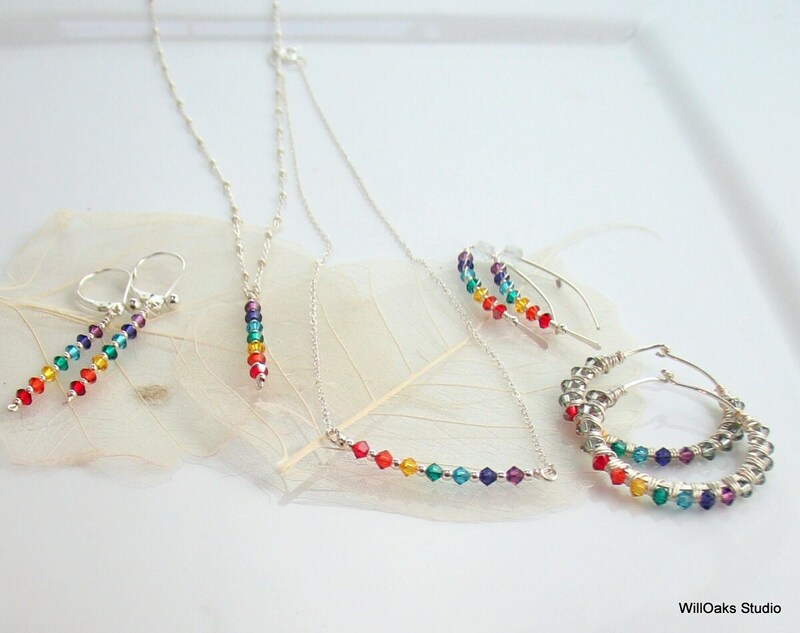 WillOaks Studio jewelry is nicely packaged in either signature gift boxes or velvet bags, ready to gift or to enjoy yourself. Lovely pendant beautifully boxed! A+ seller! Beautiful! I just love it! Thank you, the necklace is beautiful and well constructed. It came in a nice gift box and arrived quickly.